Do you need to get your office neat and tidy? 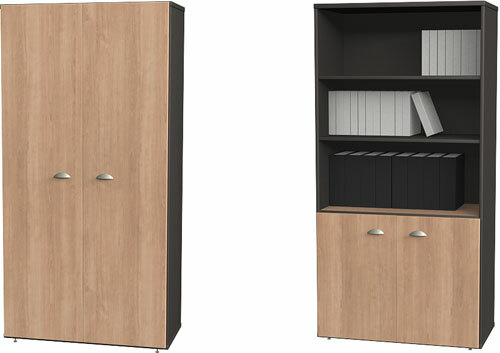 Put all that, stationery and seldom used equipment into storage cupboards. You will also find you have more space available to move about and your office will become more of a pleasure to work in. 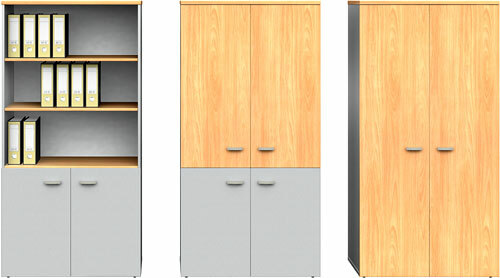 We have various styles and sizes of wood storage cabinets available. We have a wide selection of steel office cabinets. The steel cabinet range comes in various colours. Please see colour patches in stationery cupboard images above and below. 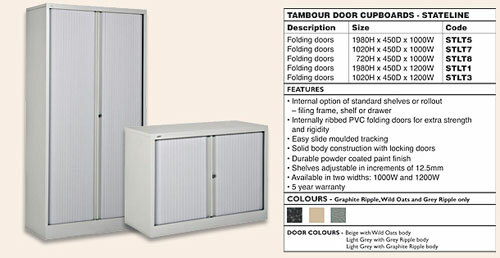 Tambour door stationery cupboards are great to keep the office always looking tidy and professional. Because the doors slide inside the cupboard as the doors are opened they always look tidy even if the doors are left open. Call us on to find out all about our storage cabinets or see our Contact page for other ways to contact us and other useful information.